So hard to believe that it is almost February! If you have been joining me here for some time, you may recall that I am not a fan of February. The novelty of the snow has warn off for me, and the spring is still so so (so) far away. But this year I have a plan. We are going to busy ourselves with every opportunity to celebrate that should present itself! Valentine’s Day will be big … but even sooner? Why Groundhog Day! Very soon we will be preparing to celebrate a little furry groundhog who may (or may not) predict the arrival of spring. 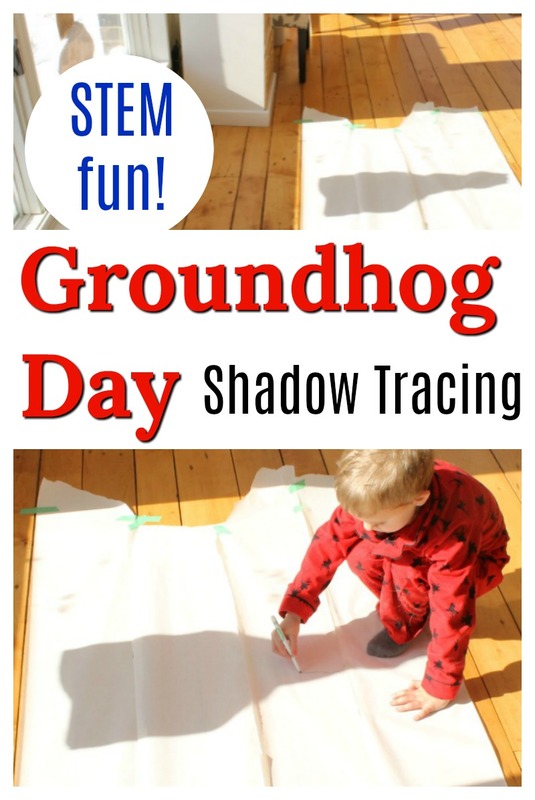 As I was preparing this groundhog day shadow tracing activity for my own little ones, I thought I might as well hustle myself along to share with you! Just in the off chance you were perhaps feeling a little gloomy about February approaching as well. Or just looking for a reason to celebrate. 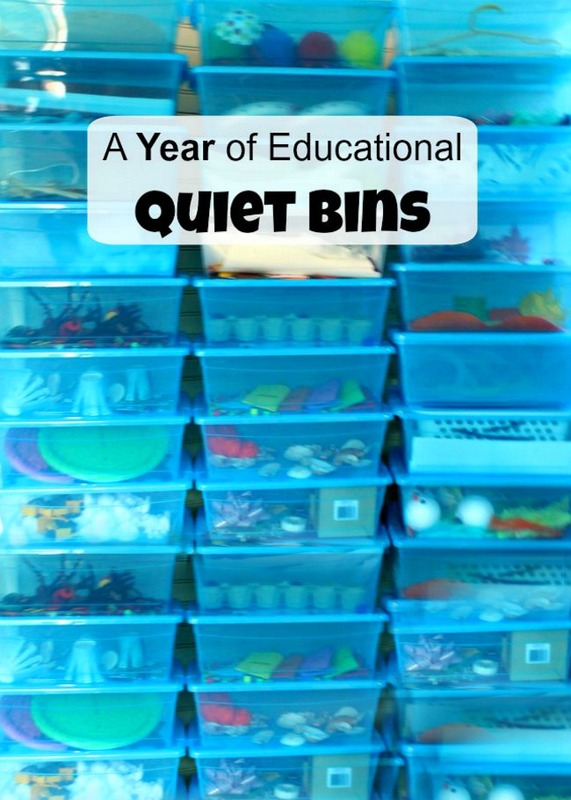 Oh … or looking for something educational to do with the little ones! 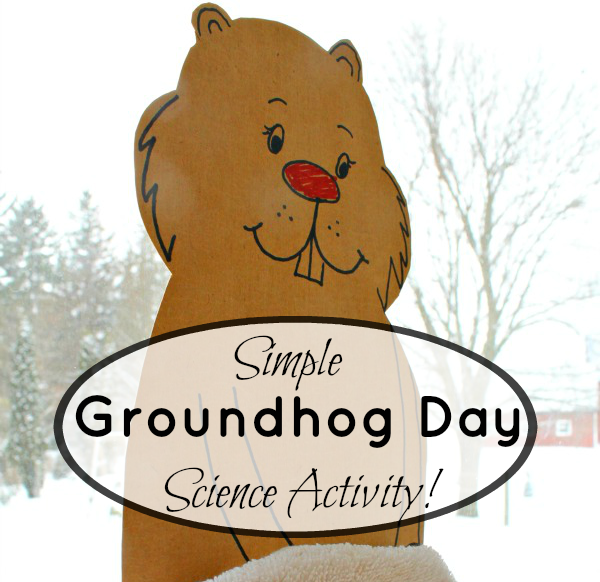 And as I was preparing our cute little science activity, Madeline asked me why we have Groundhog day to begin with. 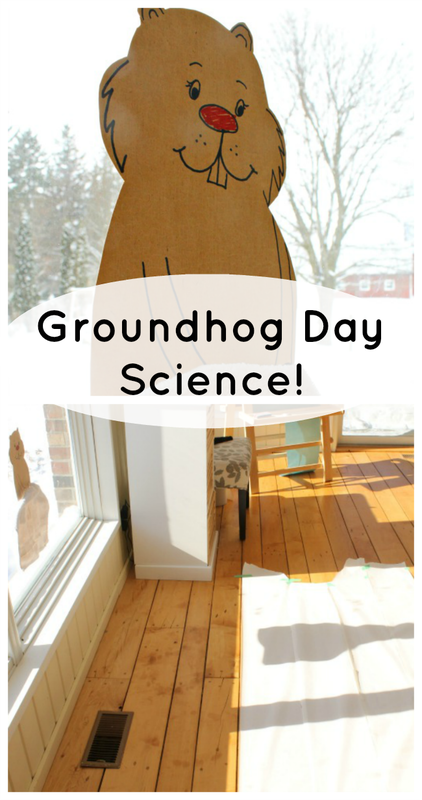 Well, I proudly explained how it is believed by many that if it is sunny on February 2nd a groundhog peeps out of his burrow, sees his shadow and retreats inside – and we will have 6 more weeks of winter. But if it is cloudy, he will not be frightened by his shadow and we will have an early spring. After a quick search, and fascinating read we had our answer. And it is rather interesting too! For the whole story (if you are interested), it is summed up quite nicely over on wikipedia. The activity we have planned is a pretty great one – if I can toot my horn! 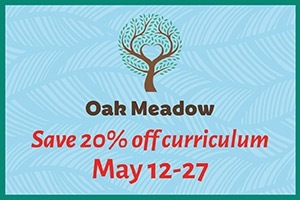 Simple, lengthy (in a good, though optional, way), and FULL of learning. I cut out a little groundhog from cardboard. Nothing fancy. But rather cute! Sam named him Mr. Beaver … so perhaps not as groundhog like as I thought. 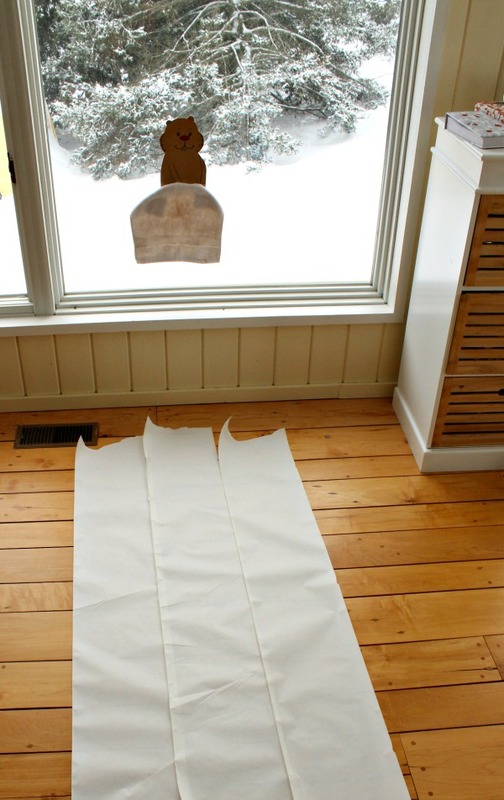 Next, I unrolled some long paper we had in front of the sunny window. 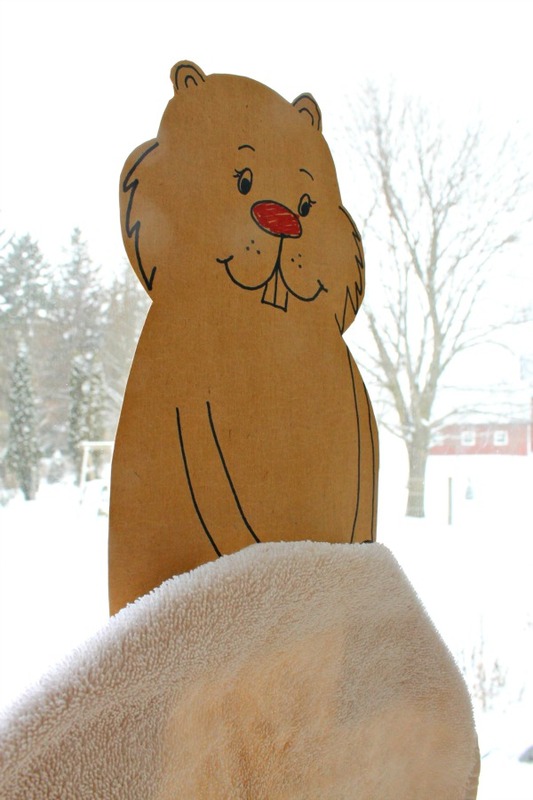 Tomorrow, if it is sunny, we will be tracing that little Mr. Beaver’s shadow throughout the day. About every hour or so. We will be looking to see how shadow’s change with the time of day. I think it will be pretty neat! And if it is a cloudy day? Well, then we will do nothing I suppose …. BUT WHO CARES?! No shadow means an EARLY SPRING!! WooHoo!! I will check in tomorrow to let you know our outcome here – and would love to hear the predictions of your local groundhog as well! 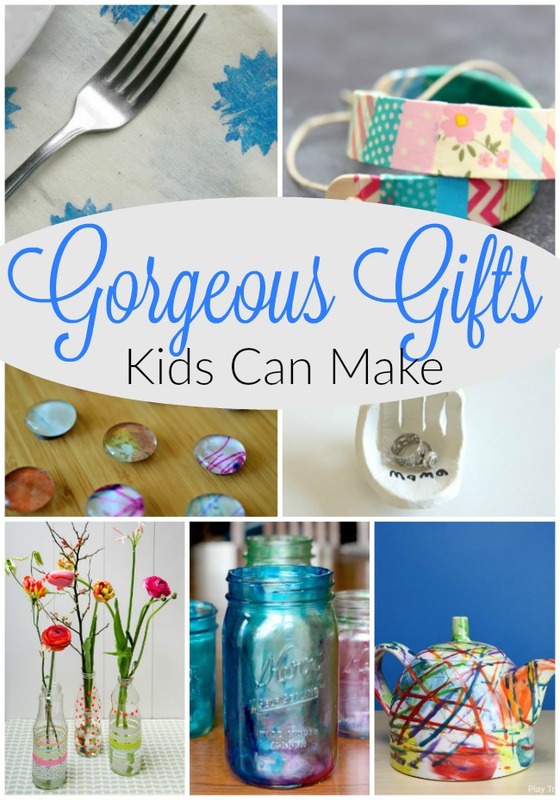 And if you are looking to LOVE being home with your little ones, be sure to check out my eBooks!